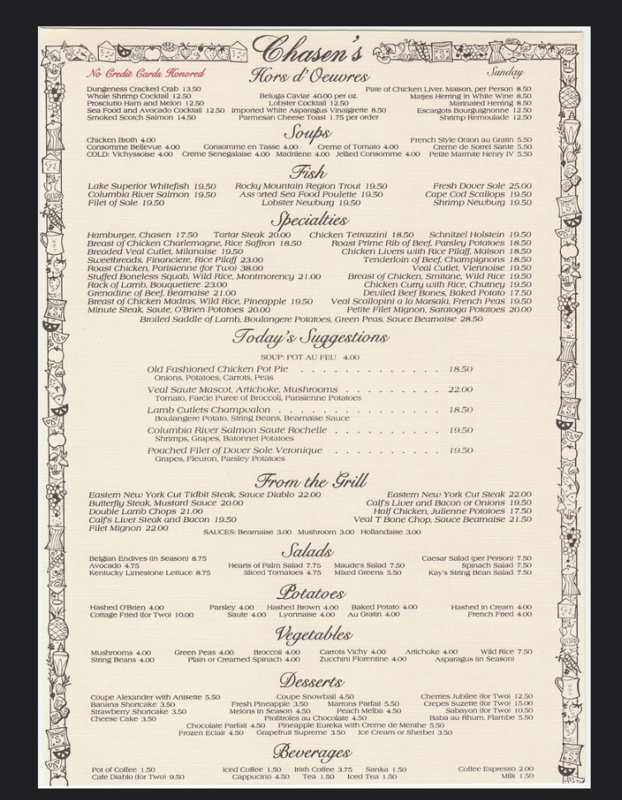 Home / 1930s / CHASEN’S – The world-famous West Hollywood Celebrity restaurant. No credit cards, please! No credit cards were honored! Credit was by house accounts only. Not based on credit scores but on celebrity scores. 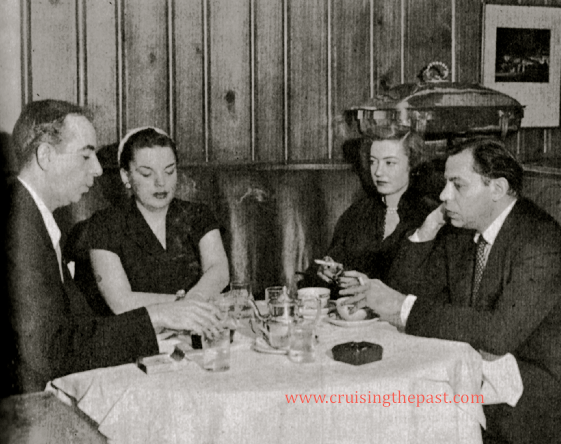 (Left) Alfred Hitchcock the bar; Marilyn Monroe and Joe Dimaggio in a corner booth. After 59 years as a prime celebrity hangout, the legendary Chasen’s finally closed its doors on April 1, 1995. 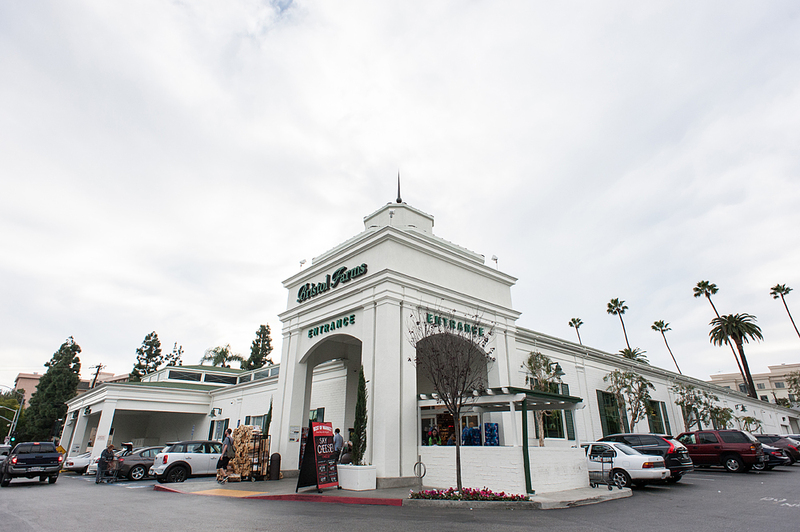 The original building was eventually torn down and replaced by a Bristol Farms market. At one time, the restaurant even included a sauna and a full-time barber! 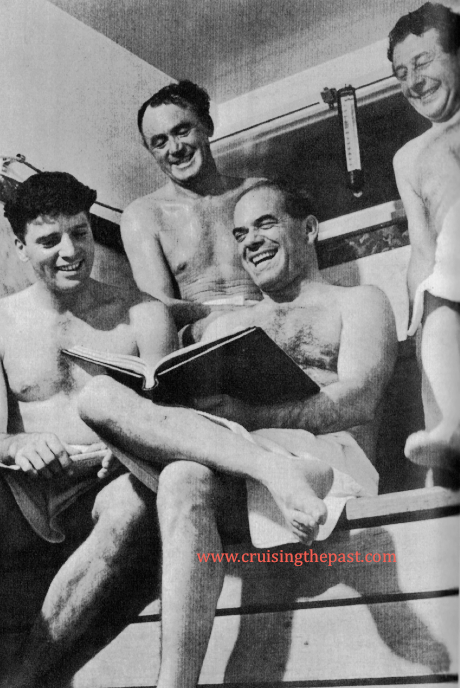 And its tales of Old Hollywood are legendary. 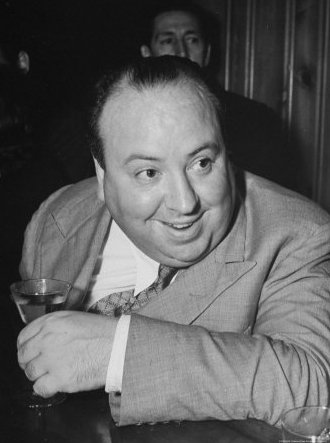 Humphrey Bogart & Peter Lorre once got drunk together at Chasen’s bar and made off with the restaurant’s immense safe, which they rolled out the door and abandoned in the middle of Beverly Boulevard. 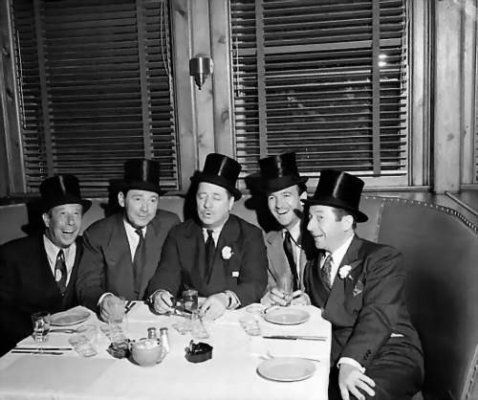 Bing Crosby took the entire Pittsburgh Pirates baseball team to Chasen’s for dinner in 1949. 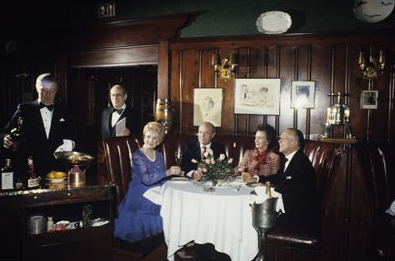 As the legendary restaurant aged, newer, flashier restaurants stole some of its star clientele, but Chasen’s was still going strong in the ’90s. 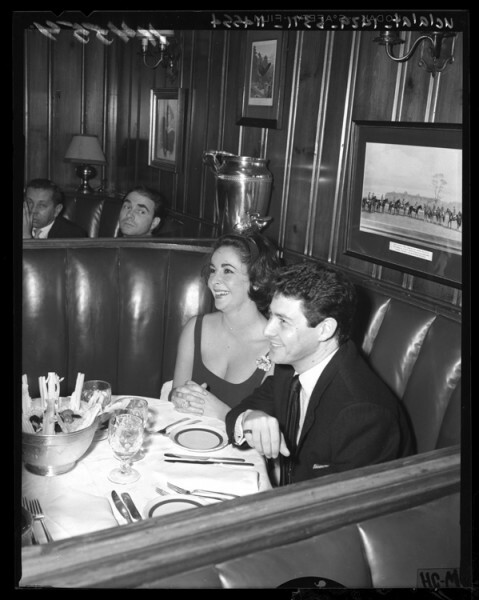 It was said to be Ronald Reagan’s favorite restaurant (he proposed to Nancy in Booth No. 2, and brought former British Prime Minister Margaret Thatcher there as his guest four decades later). I went to Chasens several times. With my parents, my uncle, who was an executive at MGM, and then in the 1970s with my producing partner, Arthur Whitelaw, and his good friend Groucho Marx. 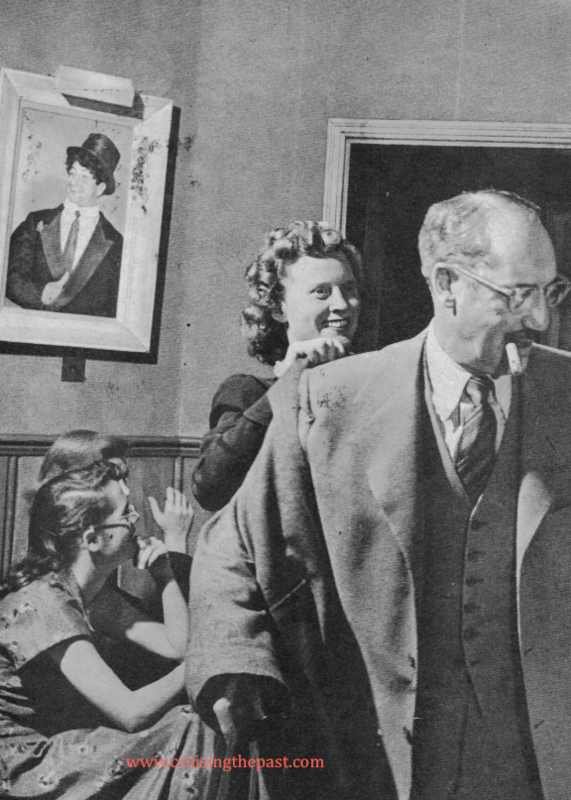 It was a memorable evening and Groucho was in great form. 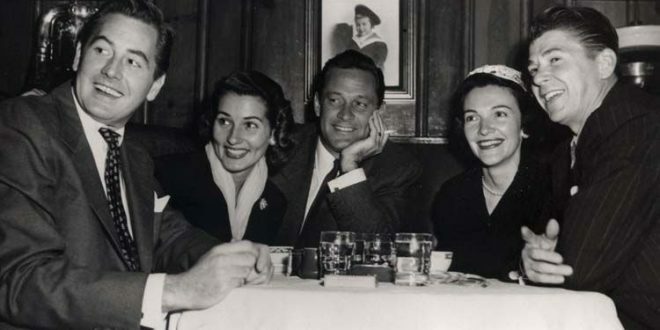 Major Hollywood stars such as Frank Sinatra, Bob Hope, Gregory Peck, and Kirk Douglas were still regulars, as were George Burns and Jimmy Stewart just before they died, along with newer celebrities in the 70s, 80s, and 90s, such as Sharon Stone, Quentin Tarantino, Jack Nicholson, John Travolta and Warren Beatty. Disco diva Donna Summer wrote her hit song “She Works Hard For the Money” after hearing the line from a ladies’ room attendant at Chasen’s. Like Spago, it had its special tables. The stars were seated in the small room to the right of the entrance. The rest ended up in the back room. 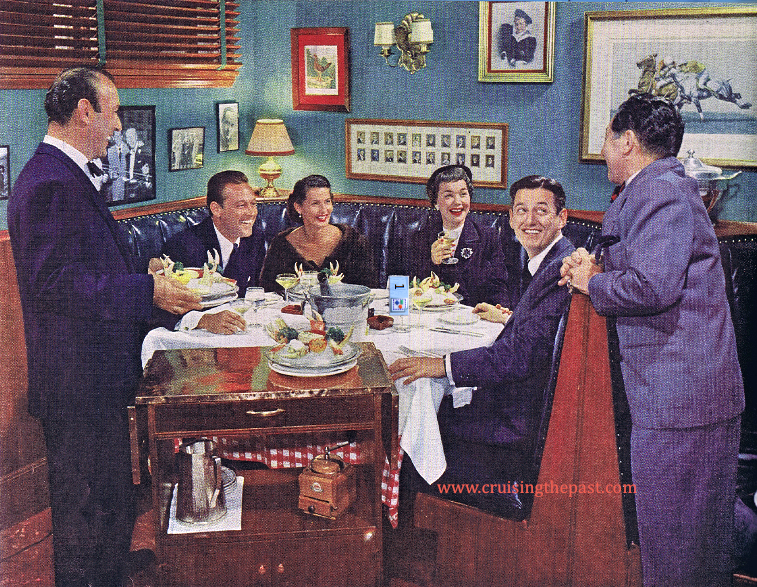 Opened in 1937 by owner Dave Chasen (at the suggestion of director Frank Capra), it was just a humble shack named “Chasen’s Southern Pit ” (because of a barbecue pit in the back); its chili quickly became popular with the show biz crowd, and Chasen’s rapidly grew into Hollywood’s premier restaurant. 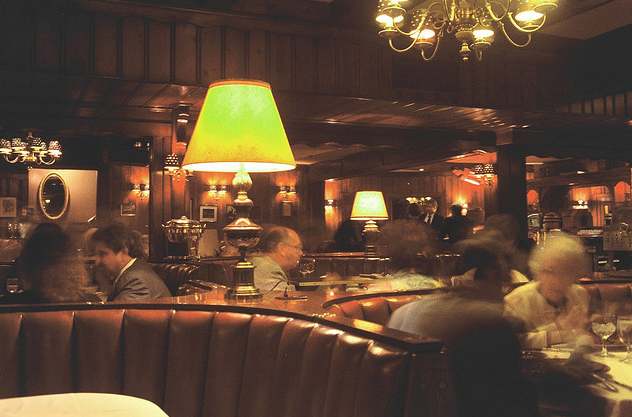 Chasen’s stuck with the American/Continental fare that brought it a success, serving it in a warm, clubby atmosphere of heavy wood paneling and red leather booths. They still served the chili that made them famous (although it wasn’t listed on the menu anymore), as well as their hobo steak and deviled beef bones. 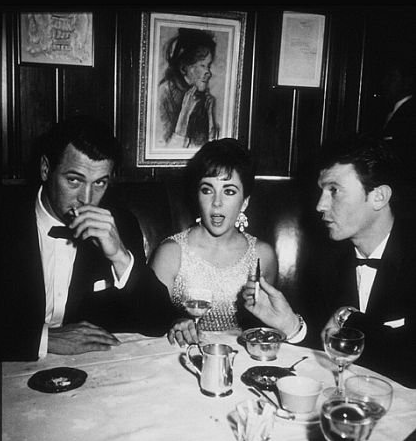 In fact, when Elizabeth Taylor was making “Cleopatra ” in Rome, she had their chili flown out to her. The menu – no credit cards, please. A meal at Chasen’s could also take a sizable bite out of your wallet: about $90 for dinner for two – and about $60 for lunch. To be a culinary star in the 21st century, restaurants must have a star chef. 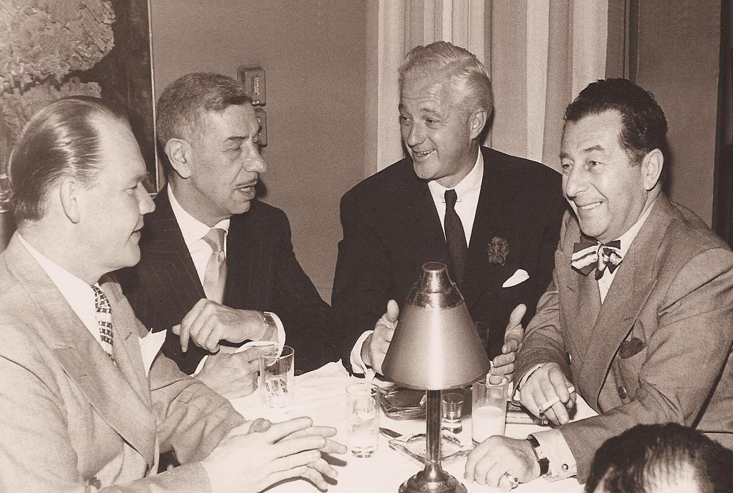 In the mid 20th century, it was not the chef, but the restaurant that was the celebrity. 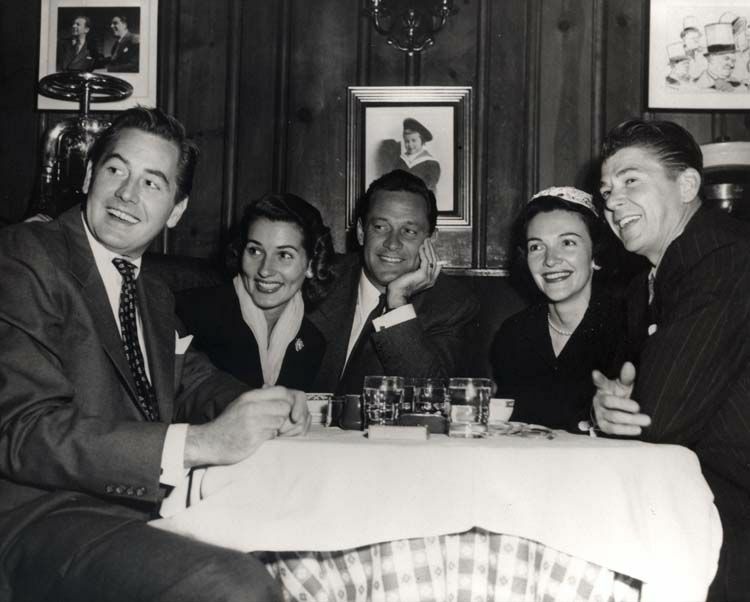 Los Angeles had many restaurants where movie personalities, the stars, producers, directors, publicists, and hangers-on of the industry spent their time. 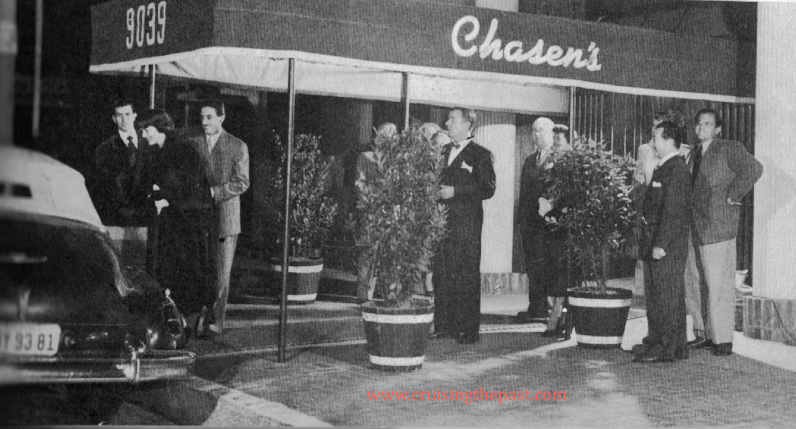 After Chasen died in 1973, Maude Chasen carried on until the original Chasen’s closed on April 1, 1995. Its demise was the result of an aging clientele, its perceived un-hipness and “arterially incorrect” food – and, maybe, because no credit cards were accepted. Now Chasen’s is a supermarket.